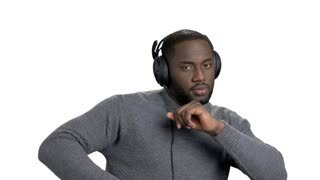 Face of black cheerful man in headphones. 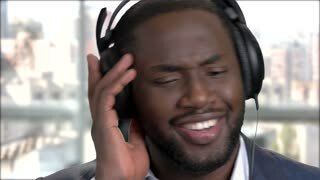 Joyful dark-skinned businessman listening to music in headphones close up. 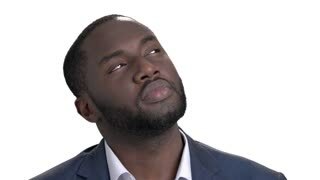 Playful afro-american businessman close up. Happy cheerful black man in business suit on blurred background. Smiling face of dark-skinned guy. 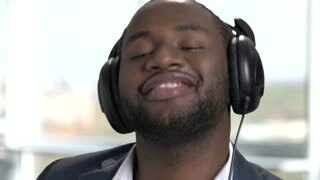 Close up face of happy african man with headphones. 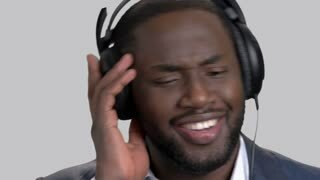 Cheerful black man in suit enjoying music. Windows background. 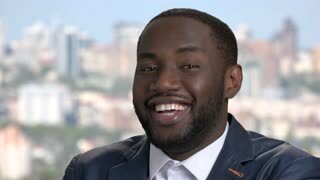 Cheerful young black businessman talking on cell phone. African man in formalwear talking on the mobile phone and smiling against white isolated background.